Parle products India s leading biscuit manufacturer has test launched Milk Power biscuits in Tamil Nadu prior to going pan India . Tamil nadu has almost 55% market share for milk biscuits still dominated by arch rival Britannia's Milk Bikkis , new ITC Milk magic and Horlicks biscuits . Parle 's earlier foray into Milk biscuit segment was through its product called Milk Shakti with recipe of milk with honey which could not make much of impact . 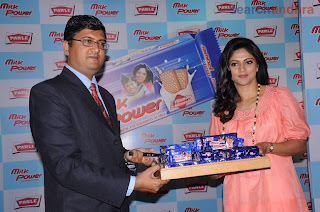 Parle now with new avatar of Milk Power has launched this biscuit fortified with vitamins and iron which would appeal to health conscious mothers .Milk variety is about 5-10% of total biscuit production popular among kids and teens .